The Deposits report shows a breakdown of the payouts issued to your bank account. This is different than the Transaction Log which shows every individual transaction and the breakdown of fees deducted or reimbursed, arriving at the amount to be credited/debited to your bank. 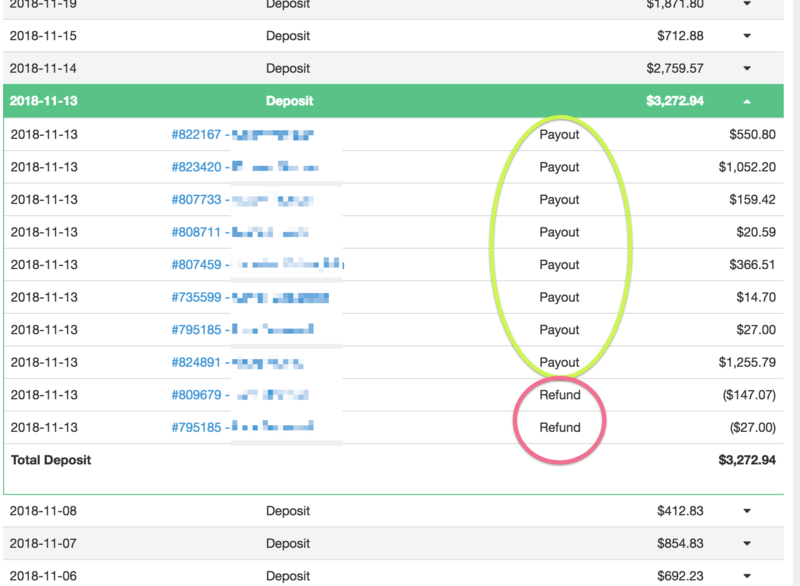 The Deposits report has the total of all the debits and credits to your bank for a specific day, matching the daily payout/withdrawal from your bank. To take it a step further, click on a row to expand it and see the breakdown of that total number. Which reservations did today's deposits include? Are they payouts for moneys paid to you by the renter, or refunds you processed?